With just one Test remaining before England visits Australia for the all important Ashes, the shocking defeat against Windies at Headingley was the last thing they would have wanted. Throughout former captain Alastair Cook’s captaincy spell, England had struggled to find the consistency and although new captain Joe Root managed to lead the team to a convincing 3-1 win over South Africa, England’s problem of coming up with a horrible performance after a dominating one is still not sorted. But despite the big defeat, England coach Trevor Bayliss looked more keen on finding the positives from the game as he praised England’s newcomers for performing in tough times. Mark Stoneman and Dawid Malan scored half-centuries in the second-innings after the visitors had taken a big 169-run lead as the hosts put up a commanding 490 for 8 declared. “More than anything they started to look comfortable at the crease. Mark looks like a tough type of a player to me. He looks like he’s ready for a scrap the whole time but when the bad ball comes along, he is able to put it away. Dawid has a couple of the 60s now and I thought he was starting to look more comfortable in this Test match,” he added. Bayliss further insisted that the third and last Test against Windies will provide the players with an opportunity to seal their place in the team for the Ashes tour. “They’ve started to look comfortable and they can both play off the back foot so the signs are looking good. As you know, we’ve said that before. To be honest, I’ve still got my fingers crossed for them,” he added. The head coach was an also slightly critical of England’s bowling performance in the first innings. 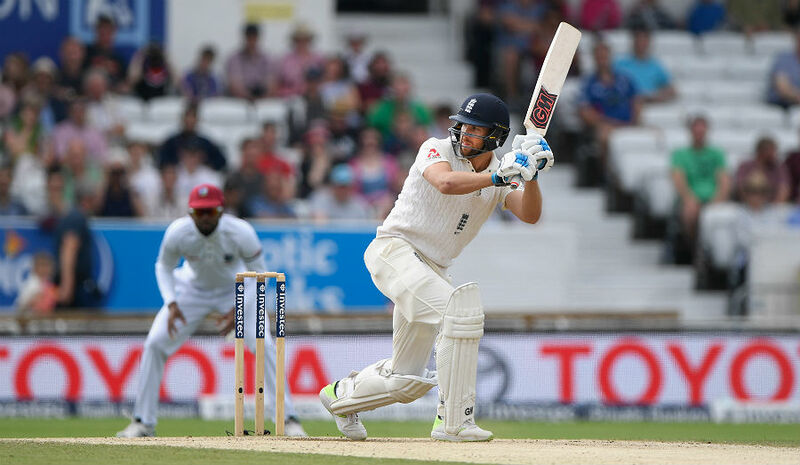 While Windies caused all sorts of trouble for the hosts before dismissing them for just 258, England bowlers could not capitalize on a good pitch as the visitors put up a massive 427. Bayliss also defended Joe Root’s decision to declare on the fourth evening of the game. England set the visitors a target of 322 which they achieved quite easily on the fifth day to level the three-match series.